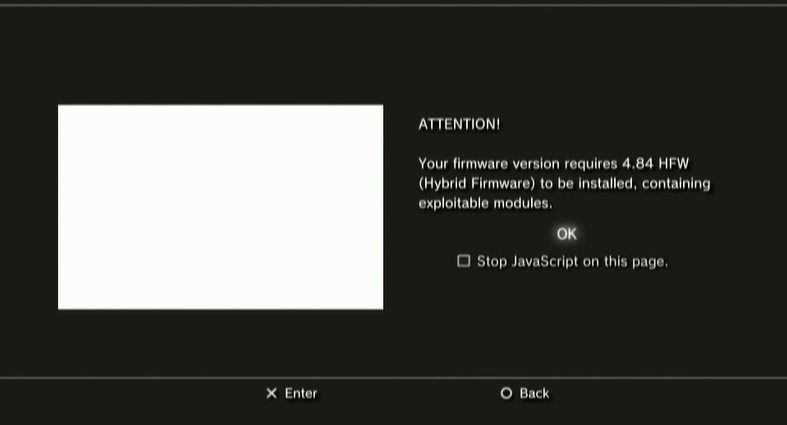 PS3 HFW 4.84 is a new breakthrough for OFW PS3 users, with HFW 4.84 firmware we can run Xploit on PS3 like HAN Installation and so on. 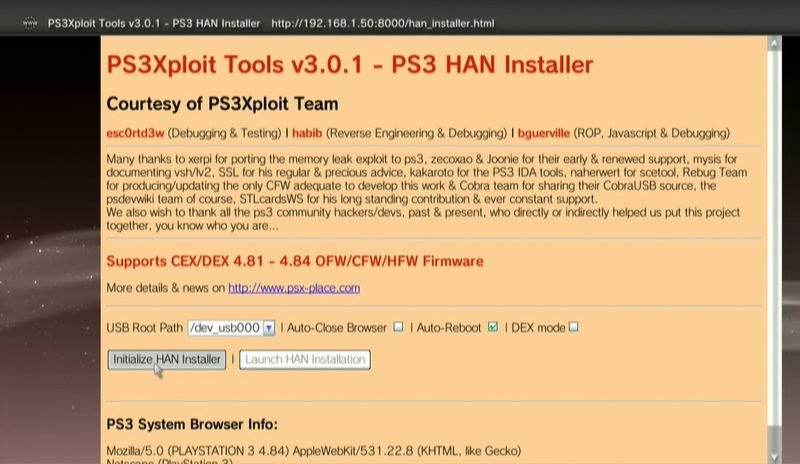 Next is How to Install HAN / HAN Installer on PS3 HFW 4.84? In this guide we will use a PC as a server with the help of MiniWeb already in the download file. Connect PC and PS3 with LAN cable, setting internet connection on PS3 and PC. Set Ip Adress Manual and fill in the Default Gateway PS3 and PS3 together. Test Connection, make sure Optain Ip Address Success. 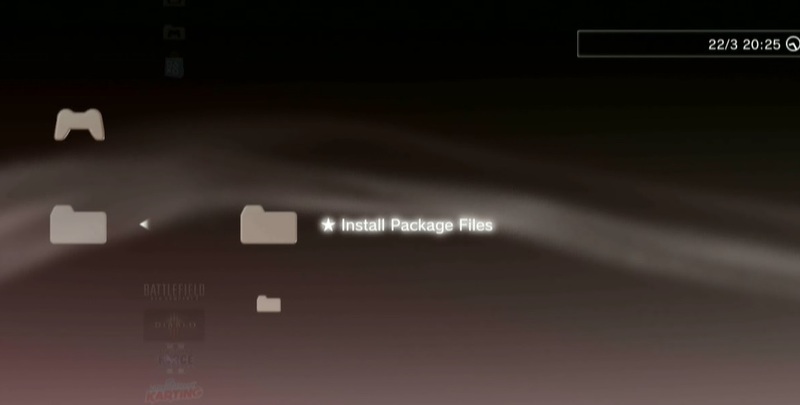 Plug the Flashdisk into the PS3 USb port, use port 2 or the right port. 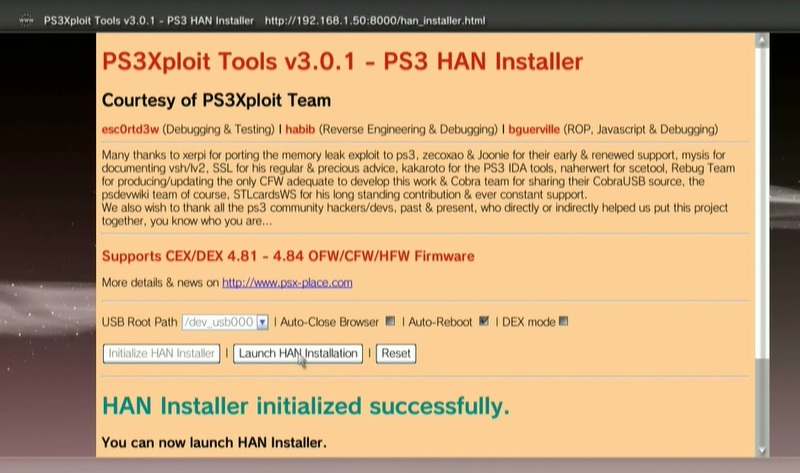 Then you can proceed to the HAN Enabler or PKG Debug Enabler to be able to install the PKG game or something else. The same way is to enter the browser and type Ip Host miniweb and select HAN Enabler or dbpkg enabler. Finish, hopefully this guide is useful for learning together. If there are shortcomings, please add it and if there is an error please forgive because the author is a beginner.